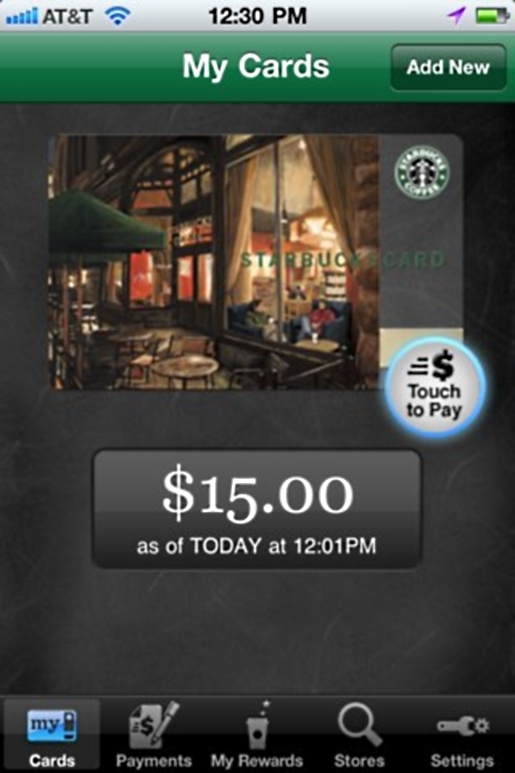 Scanning an actual card to pay for your Starbucks Trenta? What are you, some kind of barbarian? There’s a brave new world out there, and once again Starbucks is leading the way. Starbucks is launching a smartphone app to be used to pay for your coffee and pastry. The app, dubbed Starbucks Card Mobile, will be debuting at Starbucks’ 6800 company-operated locations in the United States. The product itself is actually pretty neat. It’s a mobile phone app that generates a barcode. You push the appropriate payment button on your Starbucks Card Mobile app, bring up the barcode, then scan the barcode yourself at the checkout counter after your order is produced. One swipe and you’re paid up! You can reload the Starbucks Card Mobile app via a credit card or PayPal, so you can use your free Starbucks wifi to reload your card at the store. The card even tracks your Starbucks rewards! The Starbucks Card Mobile App is available for users of the iPhone, iPad, and Blackberry; an Android version is in the works, but has not been released yet. Starbucks believes that the ease of use and quicker turnaround will lead to widespread adoption of the Starbucks Card Mobile App.